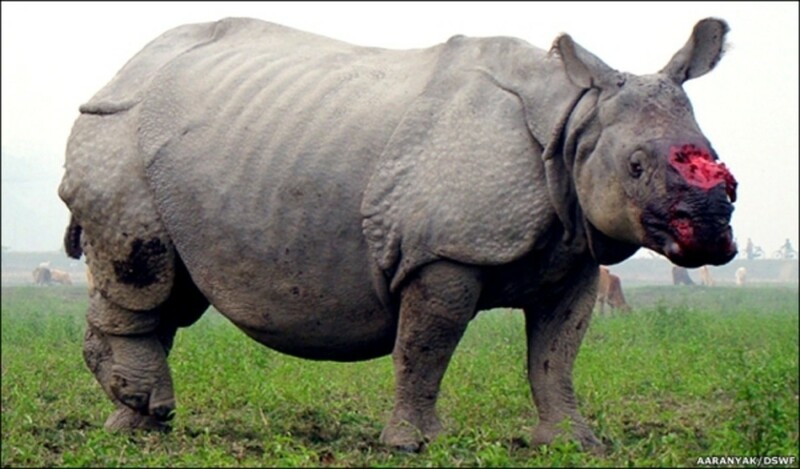 The Rhinocerous is one of the most powerful and prestigious creatures on land. They have two distinctive horns on their forheads that are used in wild battles. 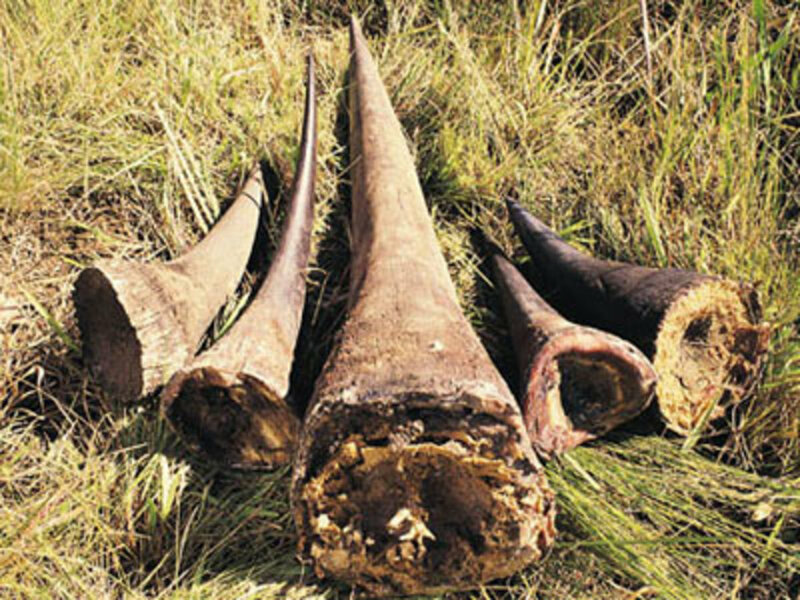 But it is these horns that are so valuable that have made rhinos the target for groups of poachers in Africa who then sell the horns to the Far East for vast prices. Gunmen shoot darts filled with powerful sleeping drugs at the rhinos which immobilises them. They have even been known to use helicopters to track the beasts. 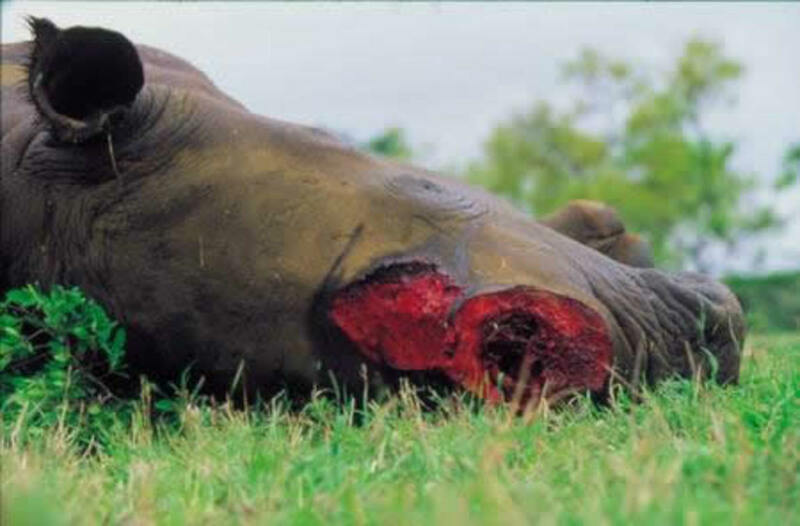 One the rhino has been shot, the poachers use saws or in some cases, machettes, to hack off the rhino's two horns. For the rhinos being subjected to this kind of attack has devastating consequences. When the animal comes round from its drug-induced sleep it is often disorientated. There is often a gaping wound pouring with blood from where the horn has been butchered. 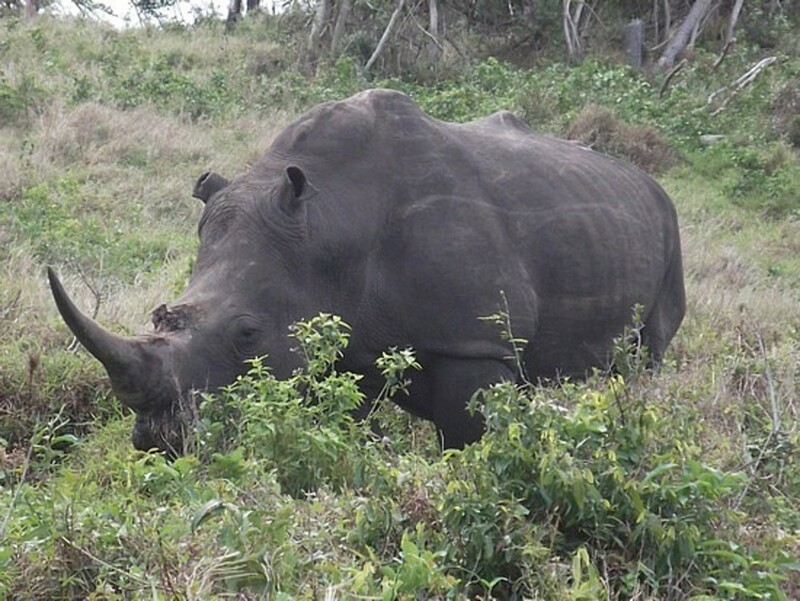 This leads to breathing problems and many of the rhinos will eventually die from their wounds. Female rhinos that are pregnant often lose their children. Almost all of this cruelty is taking place in South Africa, which was once known as the last sncturay for the rhino. There are currently just 1,916 black rhino and 18,780 white rhino in South Africa. At the rate at which the animals are being targeted, there may not be many years left before they are extinct alltogether. So why has there been such an increase in rhino horn poaching? Well, most of the demand is coming from Asia, where the value of rhino horn is now higher than gold. The horn is crushed and ground into a fine powder. 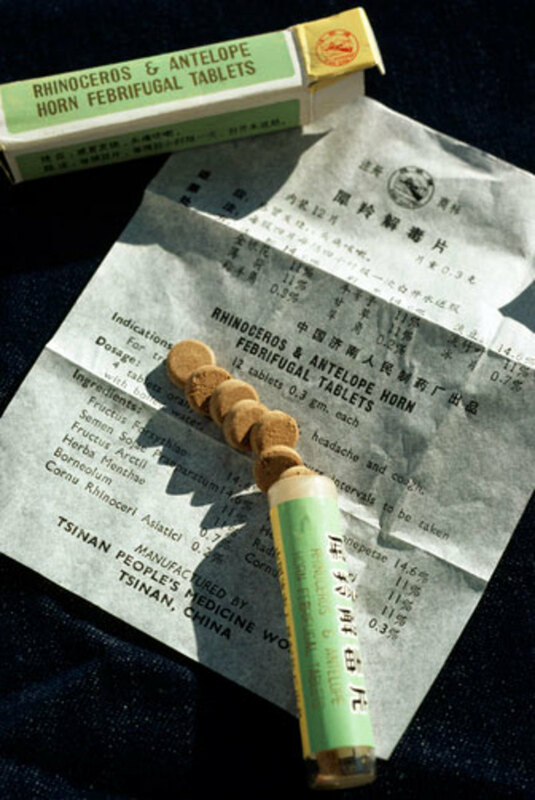 It is then used as a medicinal treatment that people believe can alleviate fevers and pain. 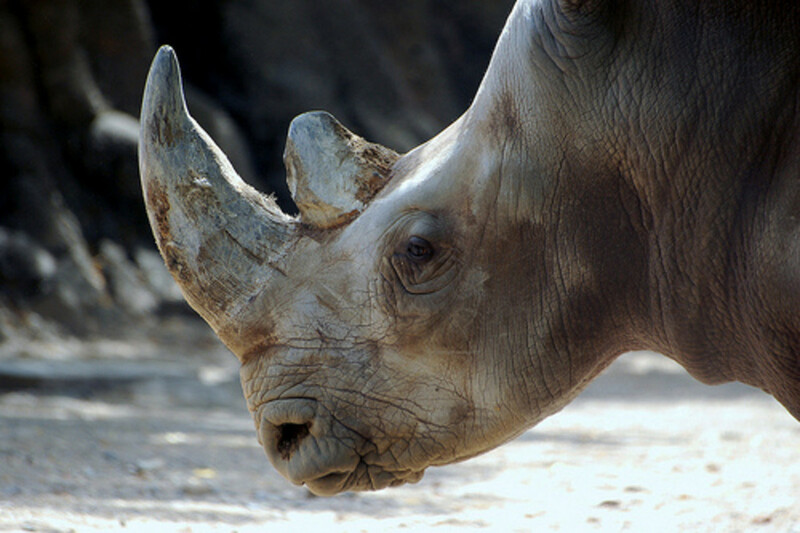 In Vietnam, people believe that rhino horn can cure cancer. In Hong Kong in Japan, rhino horn sells on the black market for £1,190 an ounce. 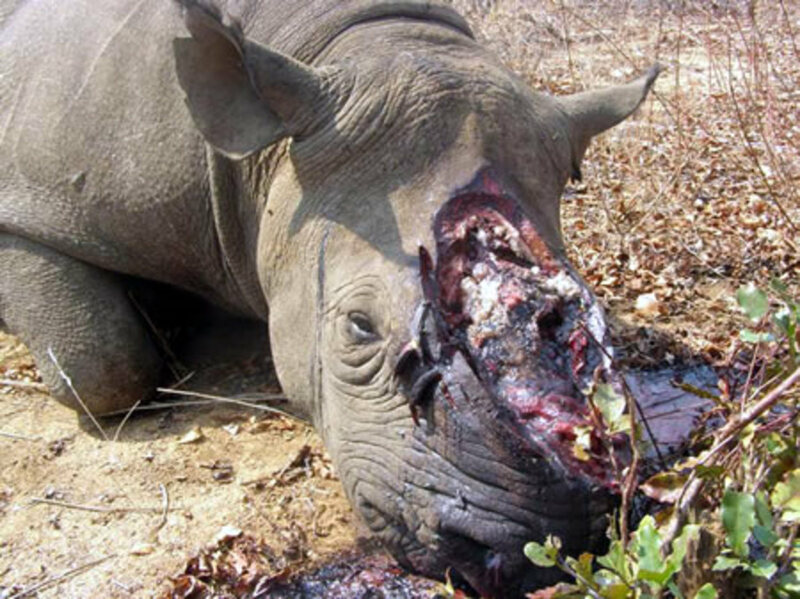 Despite this massive demand from the far east there is absolutely no medical proof that rhino horn can cure ailments. No doctor would ever suggest such a treatment and it is entirely unethical, cruel and misguided to add to the demand for rhino horn by purchasing it. The individual pain that the rhinos suffer and the damage to the overall population has not deterred the poachers. They can make hundreds of thousands of pounds with a few horns. These criminal gangs often hire helicopters and use high-tech equipment such as night-vision goggles and powerful drugs used by vets. There have even been some vets from Nylstroom, South Africa, who have been arrested for allegedly supplying poachers with tranquilizers. This included Douw Grobler, the former head of game capturing at Kruger Park.This all points to determined criminal gangs behind the rhino horn poaching. Most of the poaching takes place at Kruger Park, which does excellent conservation work including helping the 'crodiles that turned to rubber' after a bout of pansteatitis. 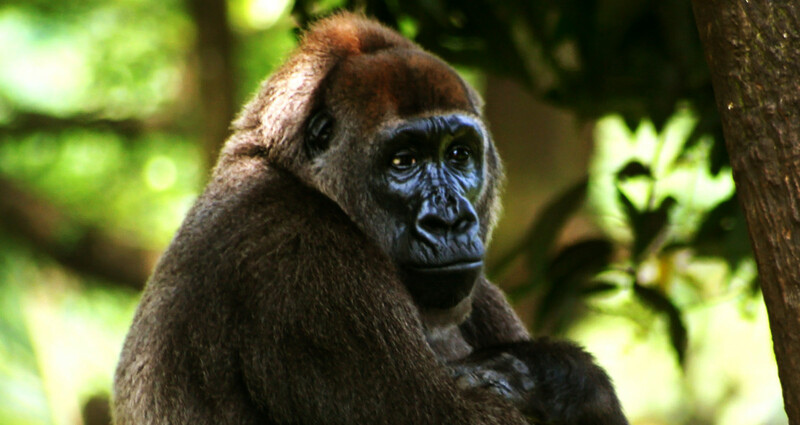 The poachers often then flee over the border to Mozambique. However, Kruger Park's anti-poaching boss Ken Maggs said there had been some violent gun battles with poachers. That these criminals are willing to risk their own lives highlights just how sought-after rhino horn is. Maggs says that although they aim to arrest people and not to shoot to kill, when the poachers open fire, the game keepers have to fire back. The game keepers at the park have now made attempts to prevent poachers from finding the rhinos. Information that used to be put on boards around the park directing tourists to the location of rhinos has now been removed. The authorities believe that poachers were using these sign posts in their hunt for the creatures. Another game reserve that has experience poaching of rhino horn is Fairy Glen in Worcester, Western Cape. Staff there describe this as a 'kahki-colloared' crime carried committed by specialists. The game reserve's owner Pieter de Jager said the rhinos are often dying once they have been targeted. He said they can barely breathe through their nasal cavities. The rhino is left in pain and in need to urgent treatment. Thankfully there are people across the world who are working on behalf of rhinos and their welfare. 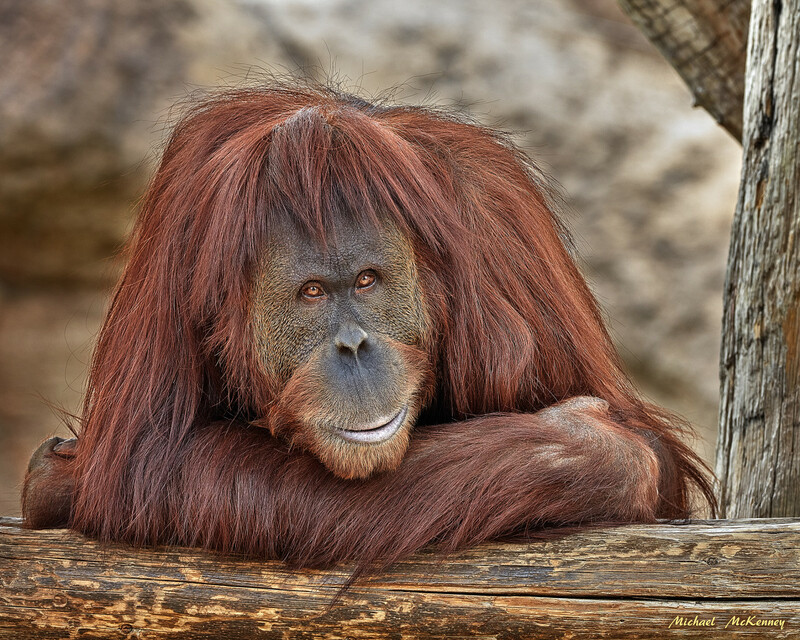 There are also a number of ways that you can pledge support for these majestic creatures. Contact the team at Kruger Park in South Africa to show your support for them and the rhinos that they are protecting. Email them here. 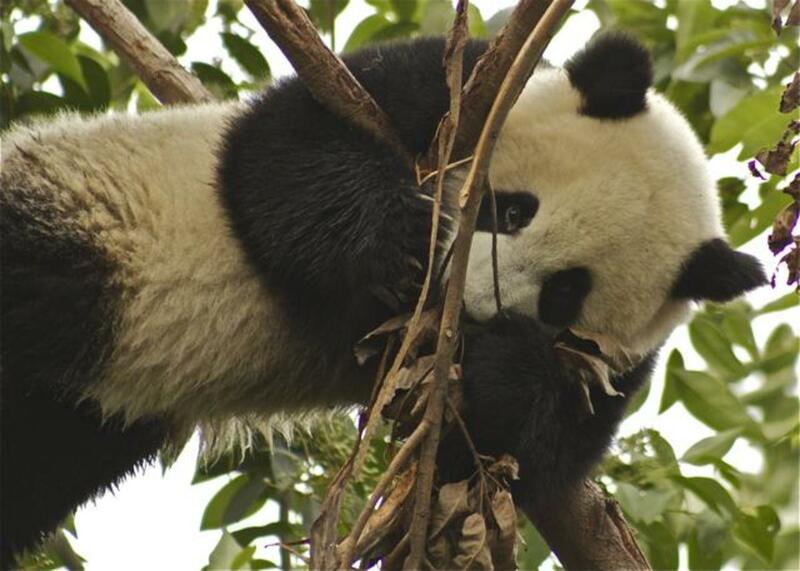 China and Asia as a whole have terrible record on animal rights. Many places still fight horses illegally, resulting in death and injury. Crocodiles at Kruger Park in South Africa were hit with the disease in May 2008. They were being killed off. An investigation revealed that this is likely to have been caused by a new damn being built further upstream. WARNING DISTRESSING CONTENT: Terrified mules are forced to dive from a high platform into a small pool of water below while crowds cheer and a whip is cracked below them during the 'stunt' at Pipe Creek ranch in San Antonio, Texas. Many of the horses and ponies at the popular market in Dublin, Ireland are treated badly by the traders and teenagers that attend the fair. Horses rearing, bucking and being kicked and whipped are common scenes. I am Nisha from Nepal. First of all, I really wish to thank you for doing such an amazing job-speaking up for the voiceless. The other reason why I am writing to you is because I am making a small video on animals to create awareness among the people of my country. The condition of animals in my country is appalling especially the stray dogs. People do not care and those who care are very rare and if any they cannot do anything because of the lack of good organizations, awareness and funds to support animals. There are over 20,000 stray dogs just in the capital city. I have no idea how many are there in other parts of the country. Most of the people here consider dogs and pets are a source of entertainment and when they fail to do so, they abuse them physically and mentally. I have witnessed many of such heart-wrenching acts but I cannot do anything against them because there are no laws on animal abuse or anything of that sort. And the condition of stray animals is even more heart breaking. Almost every single dog lives in a pitiful state, suffering from starvation, disease, maltreatment and skin disorders. Some dogs carry rabies. Throughout Nepal, 16,000 people get dog bites and over 200 people die of rabies every year. Hundreds are killed every month by vehicles. Talking about a recent issue, we are having a SAARC meeting in Nepal and the stray dogs are relocated. I wonder how thousands of dogs are going to survive in the same place. Some organizations raised voice against it, but in vain. That is the condition here. I cannot do much from my side and the least I can do is make people realize that animals are living beings too and they can feel the pain too which I believe many people do not take into consideration. For that purpose, I am making a small video and I found a picture on your website which would fit perfectly to my video. I would really appreciate if I could use that picture on my video. I would be posting the video on social networking sites as well. So, would it be okay for me to use pictures from your website? Tragic isn't it. Such majestic creatures. A friend originally from South Africa shared a video on Facebook today. I was not aware of this issue until seeing the video. I'll post the link that he posted-- and a couple of other video links that I found on youtube today. China's attitude on animal cruelty has always sickened me. But, I can't say the US is any better in many aspects. Here we have baby seal poachers in the north, chicken and dog fighting all over the rest of the US, and horse slaughter factories, who have a legal right to put horses in a pen that aren't "fit" for slaughtering and allow them to starve to death. We have puppy mills all over the place too. You would think these practices would be something much easier to get rid of, but when the fight is against people with dark hearts and no compassion, it makes it very difficult. And, as long as there is a way to make money from any of them, people keep on doing it. Femme, thank you so much for your comment, you're absolutely right how appalling this is. Reading about rhinos being attacked to have their horns poached really moved me, too. Far eastern countries such as China have an appalling record on animal rights and it's as much their responsibility for creating the demand for rhino horn as it is the poachers. This is awful! I have to admit, I absolutely hated reading it. It broke my heart. But, I'm so glad you wrote it. Hope you don't mind if I share it. 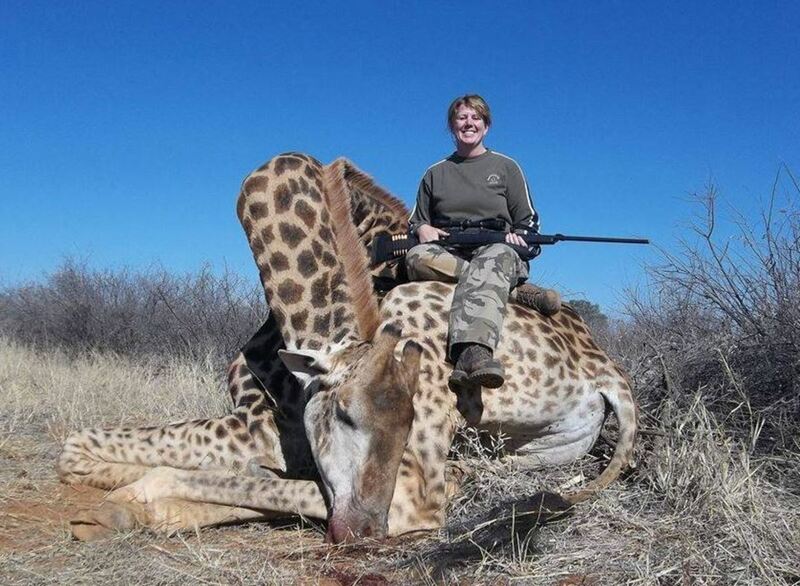 I have no liking at all for poachers. The cruelty that can find a place to thrive in peoples' hearts astounds me. Thanks for addressing this hot topic. Sadly the animal poaching and illegal trafficking of wildlife continues. Last year ended being the worst year since 1989 supposedly.